The memorial consists of two seats and a garden constructed from the remains of the Post Office and the Wesleyan Church to commemorate the 1967 bushfires. 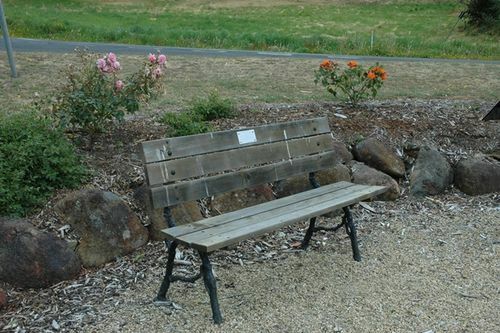 The stones surrounding these seats were all that remained of the Middleton Post Office, which was burnt down in the 1967 bushfires. The unique iron legs for the seats were rescued from the Middleton Wesleyan Church, which was also destroyed at that time.